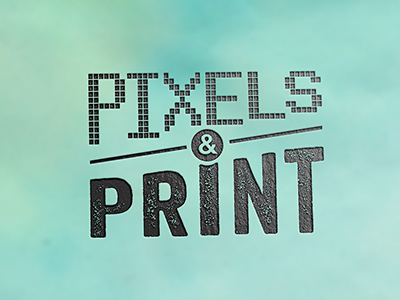 Forty graphic design students from the Newhouse School’s multimedia photography and design department will spend Feb. 9–11 designing materials for Syracuse’s Southside neighborhood at the third annual Pixels & Print design workshop. The workshop will provide students with a real-world experience and an understanding of the power of designing for social impact and the greater good, according to Renée Stevens, assistant professor and creative and managing director of the workshop. Stevens put out a call for proposals last fall, seeking organizations that might participate in the workshop. Students reviewed and voted on submissions, ultimately choosing to work with the City of Syracuse Tomorrow’s Neighborhoods Today (TNT)-Southside group. Members of the group seek to revitalize the Southside neighborhood, which struggles with high unemployment rates, concentrated poverty and underperforming schools, through a five-year plan. Group meetings have expanded from five to 50 attendees in the past year, marking TNT-Southside as possibly the fastest-growing TNT sector. As part of the workshop, students will be given 48 hours to design a logo, website, neighborhood signage, community publication, neighborhood maps and impact campaign posters to help bolster the TNT-Southside mission. Students will work from the Collaborative Media Room in Newhouse 3, where designers will tackle the challenge in teams. Professional designers, some of whom are Newhouse alumni, will provide artistic direction and mentor students to help them meet the tight deadline. Goals for the workshop include collaboration, designing for social good and hands-on learning. JakPrints is the official print sponsor for the event. Other sponsors include Minted, Smock Paper, Graphic Design USA, Communication Arts, SU Bookstore and local restaurants Phoebe’s, AppeThaizing and Dinosaur Barbecue. For more information, see http://pixelsvsprint.syr.edu or contact Stevens at rcsteven@syr.edu.